In front of the large harbour of Makarska, on the base of an imaginary triangle made by the capes of the peninsulas of Osejava and St. Peter, it is worth waiting early in the morning for sunrise. The silver of the mountain plunges into the green of the pinewoods, olive groves and vineyards, and the reddish limestone along the coast, sinking into the sea’s depths, mixes turquoise with shades of azure and dark blue. 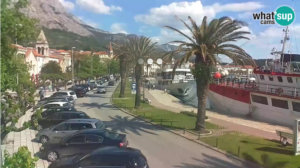 Makarska is a coastal city in the Split-Dalmatia County, located at the foot of mountain Biokovo (1762 m). 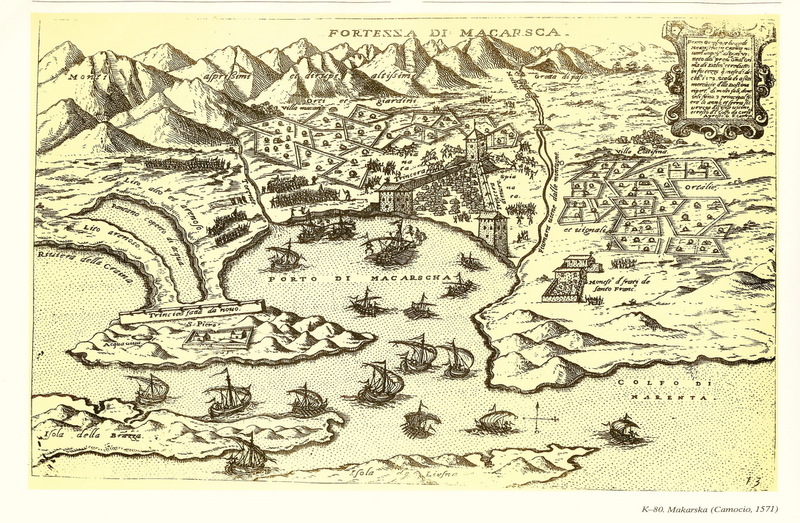 The first record of the name Makarska dates from the 4th century. 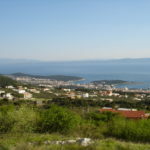 At the beginning of the 7th century the area was settled by the Slavonic tribes which established Neretva Principality with Makarska as its administrative centre. 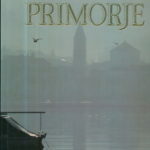 In the 12th century the Principality was incorporated in the Croatian Kingdom, but at the end of the 15th century it came under the Venetian rule. 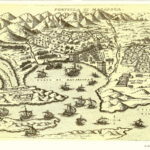 Ottomans conquered the town at the end of the 15th century and surrounded it by walls with three towers which unfortunately have not been preserved. After the return of the Venetian rule, it was given to the Austrians. From 1805 to 1815 the town was under the French rule during which Makarska experienced cultural, social and economic development. 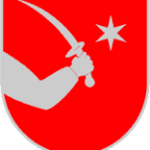 In 1815 Makarska came again under the rule of Austria-Hungary till 1918. 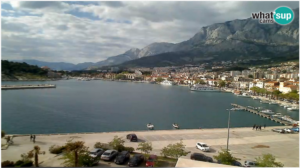 Makarska is the centre of the Makarska Riviera, which stretches for 60 km between the towns of Brela and Gradac. It has more than 2750 sun-hours a year and from July to September the air temperature is above 20°C. It is one of the most popular tourist destinations on the Croatian coast, popular because of its nature and climate, rich in tourist attractions and friendly hosts. It is also famous for its 2-km long sandy beaches. The city, which lies on the very south edge of Biokovo, is seen from Biokovo as an amazing bay with tiny little houses placed in rows around it. 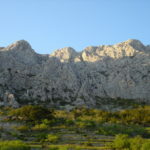 The mountain protects it from the harsh continental climate and is responsible for its rich Mediterranean vegetation, mild winters, long, warm summers cooled by a refreshing breeze called maestral. 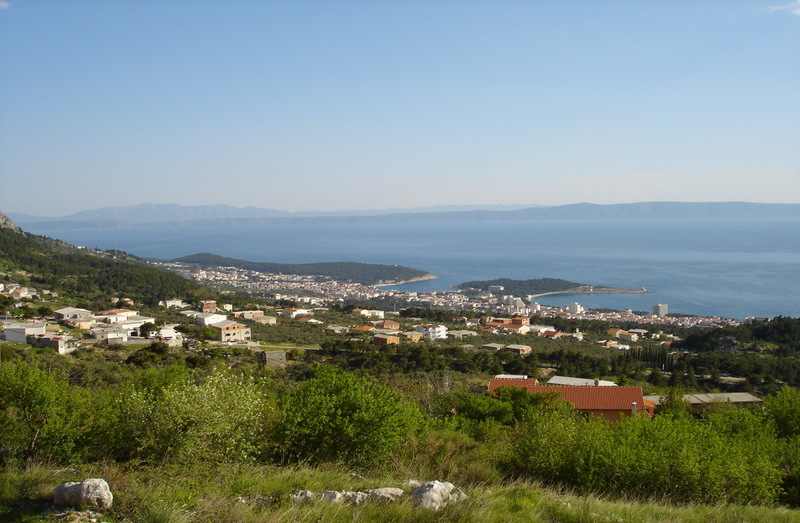 The views from Biokovo are spectacular – on a clear day one can see all Dalmatian islands as well as a large part of the Dalmatian coast to the south, and to the north, the towns of Vrgorac and Imotski and their surrounding villages. Sometimes, on a particularly clear day, one can also see the peak of Monte Gargano in Italy. Underground, mountain Biokovo conceals huge and fearsome caves. From these caves of eternal ice, like the one under Sv. 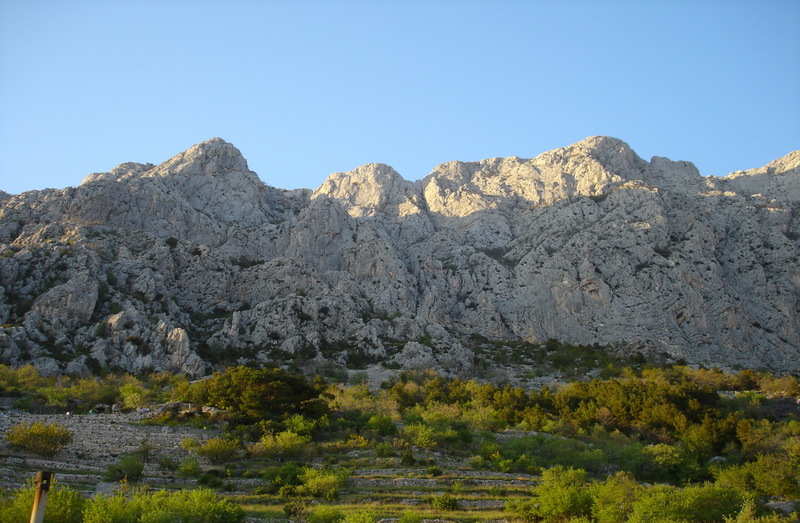 Jure, the mountain’s highest peak, the sparse inhabitants of the mountain and the hamlets on its slopes were extracting ice for years for the citizens of Makarska, Baška Voda, Igrane or Podgora. The older citizens of the Riviera still remember the caravans of donkeys and mules descending the narrow tracks from Vošac to Makar, right down to Makarska and its Lištun where the ice was broken into regular parallelograms and sold round the first hotels, taverns and family houses. 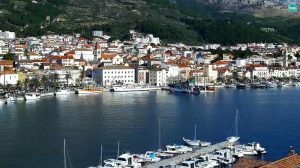 Makarska is, almost daily, linked by tourist transport services with important cultural and historical centres on Brač, Hvar, Vis and Korčula. The best time to visit is from April until October. For young people July and August are the best months, but if you prefer more peaceful holiday, September is your month. The city is best explored on foot. All the major areas of interest are within a short walk of each other.